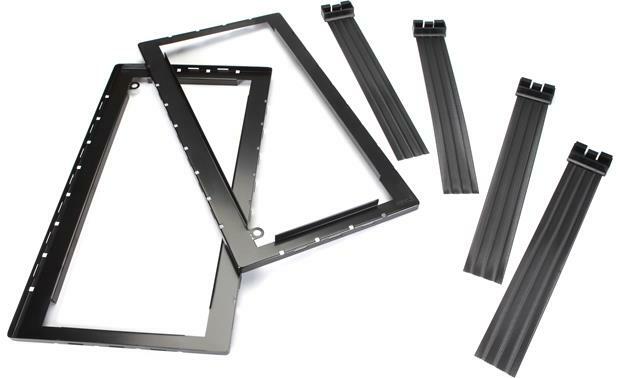 These pre-construction brackets are designed for Definitive Technology DI 5.5LCR in-wall speakers. 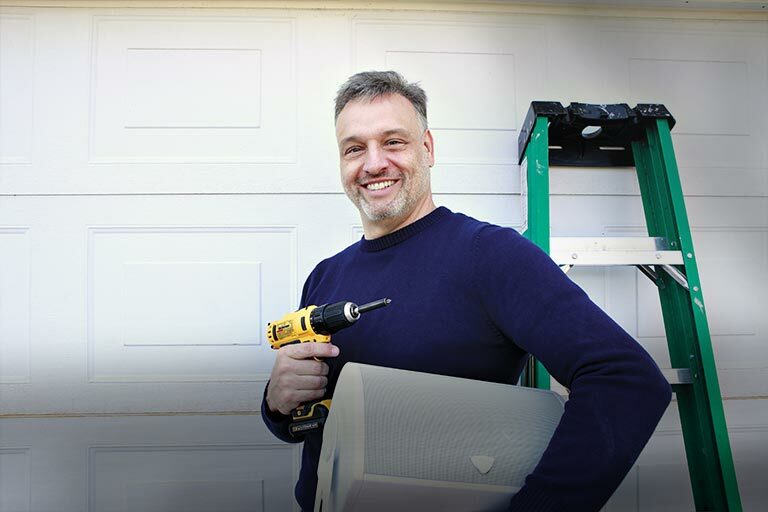 Use the adjustable arms to attach the bracket to studs or joists before the drywall goes up. Compatibility: The DI 5.5LCR rough-in bracket is compatible with Definitive Technology's dual 5.5" Disappearing In-Wall LCR Loudspeaker (DI 5.5RLCR). DI Rough-in Brackets are packaged two to a carton (2 mounting rings and 4 mounting arms). Mounting screws not supplied. Metal Brackets: The mounting brackets are fabricated from heavy duty painted stamped steel. There are no sharp metal edges to cut an installer's hands and they are ultra rigid, so that when drywall is laid over and cut the brackets will not bend or break. The mounting bracket requires rectangular cutout that measures 6.5" (w) x 14.375" (h) x 0.375" (d). The outer dimensions of the mounting bracket are 8.625" (w) x 15.8125" x 0.8125" (d). Mounting Arms: The metal mesh mounting arms snap onto the center ring in a variety of positions to cover almost any installation. The wings can be attached with nails, staples or screws; and can be bent and easily trimmed with tin snips. They are also thin enough to make stud notching simple. The wire tie loop easily breaks away when the speaker is installed. The mounting arms measure 12.4375" (w) x 1.9375" (h) x 0.5625" (d). Searches related to the Definitive DI 5.5LCR Rough-in Brackets Pre-construction brackets for Definitive Technology DI 5.5LCR in-wall speakers.